Since 1971, Amtrak has linked American cities, towns and villages creating a true network of community. 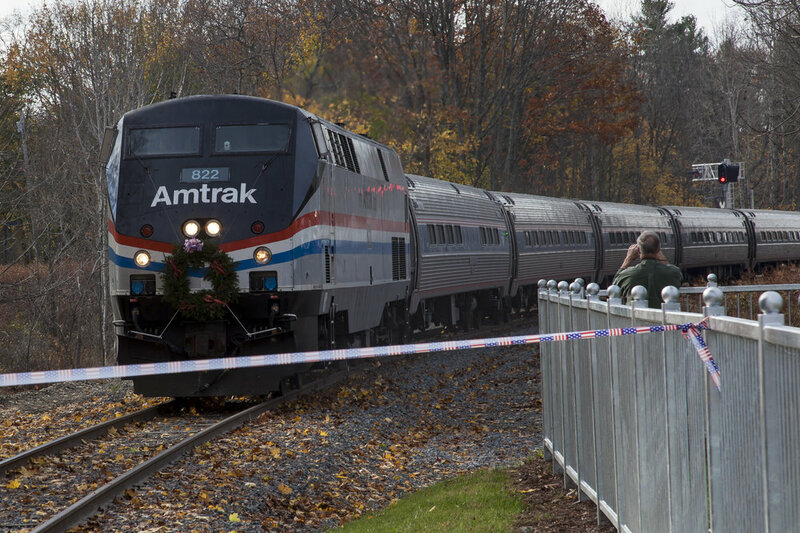 Over 40 years later, the 2012 launch of expanded service on The Amtrak Downeaster line allowed Freeport and Brunswick to join this thriving network of families and businesses linked by the rails. 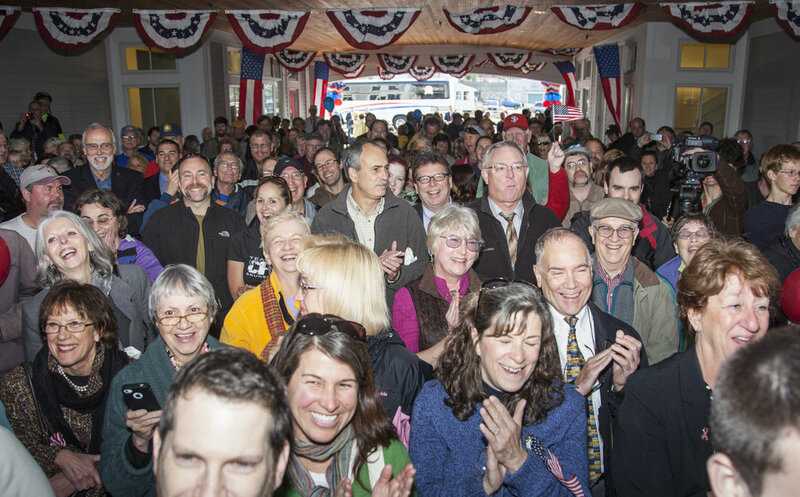 Ten individual train station-based celebrations in five hours turned the inaugural Downeaster expansion journey into a whistle stop tour. Local businesses and community members came out to enjoy bands, giveaways and prizes, while learning more about the ease of getting from Boston to points further in Maine. The modern, fresh design of the posters, invitations and announcements worked to brighten up the feel of this legacy brand, while the events themselves created a family-friendly vibe. 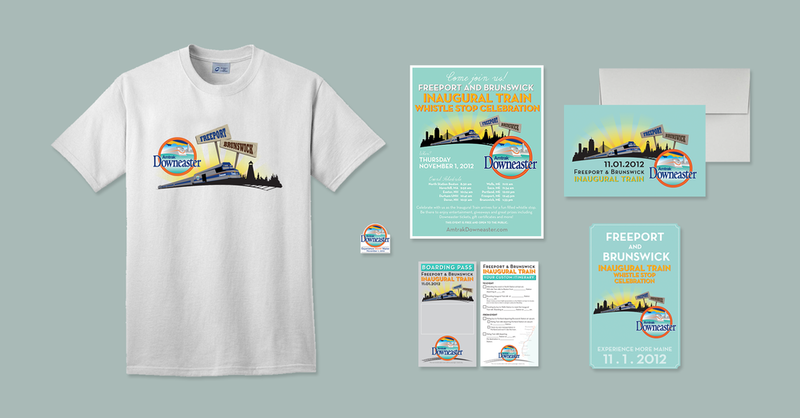 Client: Amtrak Downeaster | Assets: Branding, Event Collateral and Design, Illustration + Product Design.